Have you ever seen an alpaca and thought, whoa. That looks different than the one I’ve seen before? There’s actually only two types of alpacas; suri alpacas and huacaya alpacas. 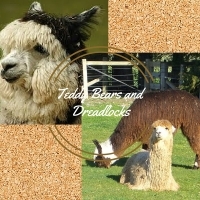 Suri’s fleece’s look like dreadlocks and huacaya’s have the fluffy qualities of a teddy bear! Here we looked around the web to find a couple of great resources that explain some history of alpacas and the major differences between the two breeds! Here we dive into the official name of the teddy bear alpaca, huacayas! These great resources will talk about the breed and the value behind the beautiful huacaya fleece. The ideal huacaya fleece should be: fine, dense, uniform, and grow perpendicular to the skin. The fleece, which grows from individual follicles in the skin, should be made up of defined staples of crimpy “bundled” fleece. These bundles should organize themselves into staples which create a dense presentation across the animal. The huacaya alpaca should be well covered with a soft, uniform fleece, except on the ears and the bridge of the nose of mature animals. The muzzle and ears should be soft to the touch. Last but not least, suri alpacas. The fleece on this animal grows not like the teddy bear quality of the huacaya fleece but instead hangs down like dreadlocks. 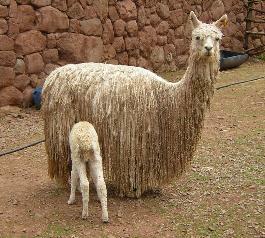 They are rarer than the huacaya alpaca but just as beautiful. “Among the people of the Andes, the woven fabric from the fleece of the alpaca was so soft and alluring that it was used as currency. 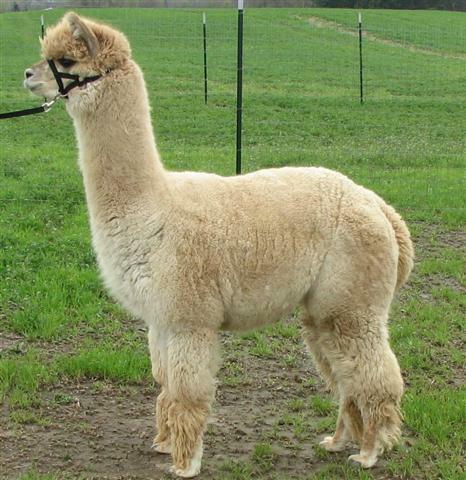 The Suri alpaca has unique fiber characteristics that distinguish the Suri from the rest of the camelid family. Unlike the soft fuzzy look of the Huacaya alpaca, the Suri’s long, separate, distinctive locks are comprised of twisted or flat fibers that drape down the sides of the Suri’s body. The Suri’s fiber has a cool, slick hand; soft as cashmere, warmer than wool, with the luster of silk. There we have it huacaya and suri breeds of alpacas. Both are beautiful and have many uses for their amazing fiber. Would you like to learn more about alpacas and alpaca farming? Click here to book a meeting with us.